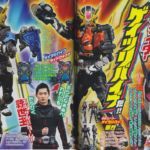 Kamen Rider Ryuki’s Takamasa Suga To Cameo In Kamen Rider Zi-O! The list of returning Kamen Rider actors for Kamen Rider Zi-O continues to grow! Tokusatsu veteran Takamasa Suga is the latest performer to return. Suga is best known for playing the character Shinji Kido in 2002’s Kamen Rider Ryuki! Takamasa Suga will take on the role of Another Rider in his guest appearance- specifically Another Ryuga, a reference to Kamen Rider Ryuki’s distinctive dark counterpart. Be sure to join in our Ongoing Kamen Rider Zi-O Discussion Thread to share your thoughts about this Rider return! Bandai’s S.H. 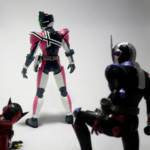 Figuarts Blog teases, Decade? The most recent post on Bandai’s S.H. 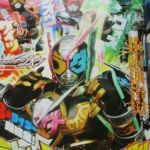 Figuarts blog cycles through the official images of the upcoming Ride Striker release for Kamen Rider Zi-O. 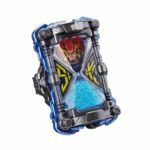 The post details the accessories it comes with as well as it’s compatibility with both Zi-O and Geiz. However, at the end of the post is an odd teaser. The image attached is of the yet to be released Zi-O and Geiz Figuarts posed as though they’ve just lost a fight, while Decade stands tall in the background, back facing them. 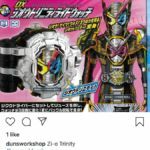 This image is very likely teasing something a lot of people have been hoping for since news of Decade’s return in Zi-O was made known. Given his turned back, this could very well indicate a potential reissue of the Shinkocchou Seihou Decade S.H. Figuart, though with the new magenta Neo Decadriver instead. While there’s nothing more concrete to go on than that, the popular consensus is that we could be seeing the Destroyer of Worlds return to destroy our wallets once more. Time will tell if this is anything more than just a tease, and if it is, we’ll be sure to let you know! 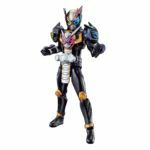 Another figure was recently added to the Kamen Rider Zi-O line up of S.H.Figuarts figures. That figure is, of course, the trusty motorcycle for our time traveling duos: The S.H.Figuarts Ride Striker! 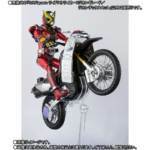 S.H.Figuarts Ride Striker will be released in June as 6480 yen as a P-Bandai online item. The bike does include the Zikan Zax and Zikan Grade weapons for Figuarts Geiz and Zi-O respectively, so now buying the Ride Striker seems to be the only way to acquire weapons for them.